Governor of Nassarawa state governor, Umaru Tanko Al-makura examining the bad state of student mattress as he paid a visit to the Government College in Keffi. 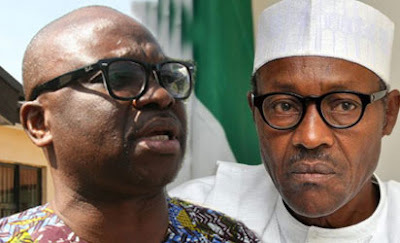 According to a press statement, Ekiti State Governor, Mr Ayodele Fayose has carpeted President Muhammadu Buhari’s claim that many of those who looted the public treasuries in the government of former President Goodluck Jonathan had started returning the stolen funds to the government, saying the President should rather stay at home to govern the country instead of junketing around the globe and acting like a saint before the international community. An Islamic State (Isis) propaganda website on the dark web has been taken down by hacktivists and replaced with an advert for a site selling Prozac and Viagra tablets and a message telling would-be IS supporters to calm down. It read:'Too much ISIS. Enhance your calm. Too many people are into this ISIS-stuff. Please gaze upon this lovely ad so we can upgrade our infrastructure to give you ISIS content you all so desperately crave.' Ghost Sec, a faction of the hacktivist collective Anonymous (unaffiliated with the counter-terrorism organisation Ghost Security Group), targeted the Isdarat website after it appeared on the Tor anonymity network last week. Two members of the Plateau pilgrimage contingent are missing, the Acting Secretary of the state Pilgrims Board, Mrs Hassana Ayika, has confirmed. Ayika in Nazareth, Israel, on Wednesday said that the two persons, a man and a woman, were said to have gone missing at about 2 a.m. on Tuesday. Ayika said the roommates of the missing persons reported that they woke up in the night and did not find them on their beds which suggested that they might have absconded. She said that the matter had been reported to the Israeli authorities through the Nigerian Embassy and that efforts were being made to track and repatriate them. She further said that their guarantors would be punished accordingly as they would be made to bear the cost of sending them back to Nigeria. Ayika explained that the escapees were not Plateau indigenes but from other states and were fortunate to have enjoyed the sponsorship of the state government. THE Senate Committee on Petroleum (Downstream),has directed the Minister of Petroleum Resources,President Muhammadu Buhari, to end the ongoing fuel scarcity in the country within two weeks from now. This came on the heels of disclosure by the Pipeline Products Marketing Company,PPMC,that Nigeria lost a whopping N50 billion in ten months as a result of vandalisation of petroleum pipeline in some parts of the country. Chairman of the committee,Senator Uche Ekwenife, who gave the directive,Thursday,in Abuja,during the committee’s meeting with top officials of Ministry of Petroleum Resources,insisted that the petroleum minister must not only end the scarcity but ensure ensure that fuel was sold to the public at government’s controlled price of N87.00 per litre. 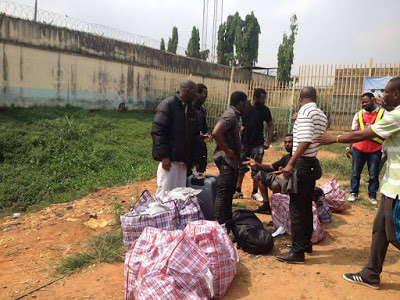 Man Accused Of Withdrawing N45 Million Opens Up, "Some Staff of CBN Wanted Me To Launder Money"
A few days ago, it was reported that a man named Jerry Ogbonna Obike Phillip, withdrew the sum of N45 million said to have been transferred to his account in error. And now, he is speaking out, stating that the allegations are false. “ On the Withdrawal of Money Purported to Have Been Wrongly Credited to My Account by the Central Bank of Nigeria (CBN) and My Allegedly Being Wanted by the Economic and Financial Crimes Commission (EFCC) My attention has been drawn to the falsehood being circulatedon some social and print media platforms with my above photograph claiming that I am wanted by the Economic and Financial Crimes Commission (EFCC) for withdrawing N45 million purported to have been wrongly credited to my account by the Central Bank of Nigeria (CBN). 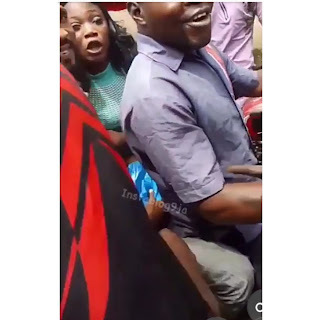 A young man who was alleged to have stolen was mobbed by onlookers and passerby at Alapere area of Lagos today. The cloths were torn and he was beaten blue black. He was later asked to go Unclad in the scorching sun. About 500 Nigerian deportees arrived in Nigeria from the United Kingdom this morning aboard a chartered flight. This move is a monthly exercise by the UK government, in which about 100 detainees from the UK are deported to their respective countries via charter flights commonly run by Titan Airways. Here are photos of some Nigerians who were deported. According to reports from BBC, the deportees are not happy to be back and those who don't have relatives in the Lagos are stranded in the airport One person told me that he was arrested by British police and was not allowed to even take his belongings before being deported,” the BBC said in its report. 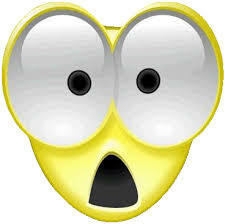 A customer making withdrawal wore two trousers to the bank. As he got his money, he took the first trouser down to put the money in the inner trouser. This happened in Kaduna. Chairman, APC Governors Forum and Governor of Imo State, Owelle Rochas Okorocha is not left out from the "pilgrimage" to Ikenne. Pictures show Rauf Aregbesola, Audu Ogbeh - Minister of Agriculture, Minister of Transport - Chibuike Amaechi, Ogbonnaya Onu and Ex Governor's Fayemi and Fashola, El Rufai, Senate President Bukola Saraki amongst others. 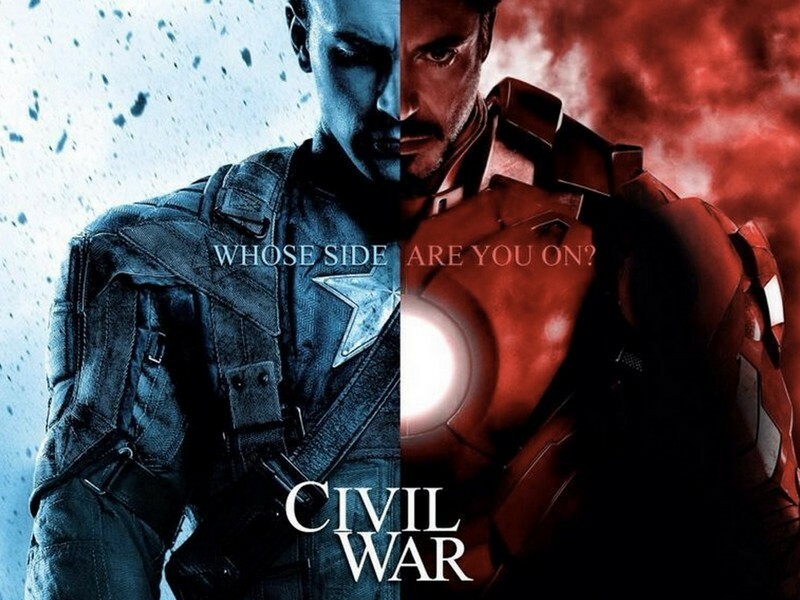 A first trailer has been released for Marvel’s upcoming superhero movie, Captain America: Civil War. The movie is the 3rd installment in the Captain America series and sees Captain America take on Iron Man after a disagreement. The world’s leaders had described thee Avengers had “vigilantes” and made them sign a pact to be supervised. Iron Man agreed, Cap didn’t, and thus two sides were born. Black Panther makes his official debut in the Marvel cinematic universe, with Ant-Man and Falcon also making appearances in the trailer. The Director-General of the National Youth Service Corps, Brigadier-General Johnson Olawumi, has upheld the body’s ban on long hijabs at its orientation camps.The ban had been contested by the leader of a Muslim group, LMYiD, Luqman Hassan who claimed the ban was against their rights as Nigerians. 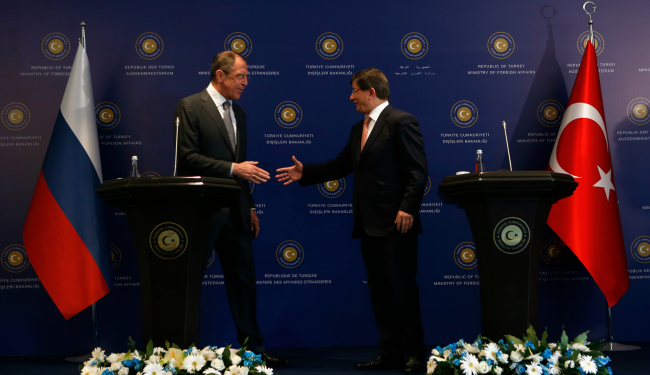 A senior Turkish official admitted that Turkey shot down a Russian war plane on the Syrian border. Al Jazeerah says, the plane was shut down on Syrian territory in Latakia’s Yamadi village. The plane was downed by the Turkish military according to the rules of engagement because it violated Turkish airspace, the Turkish official said. The Turkish president’s office identified the plane as Russian and said it was warned before being shot down, according to semi-official Anadolou agency. A Turkish military statement said that the plane violated Turkish airspace in the Hatay province and was warned ‘ten times in five minutes’. “Our two F-16 planes on air patrol duty intervened in the plane in question on November 24, 2015, 9:24am, according to the rules of engagement,” the statement said. 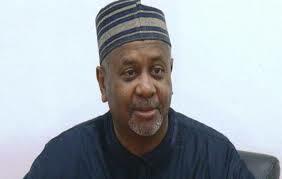 The Federal Government has on Monday, November 23, directed the Abuja ‎Division of the Federal High Court to cancel the bail it granted the former National Security Adviser, NSA, Col. Sambo Dasuki, retd. 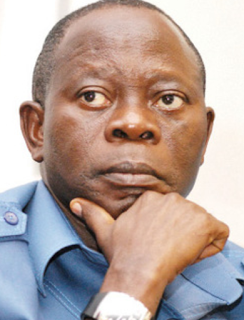 The FG, in an application it filed pursuant to section 169 of the Administration of Criminal Justice Act, 2015, demanded that the ex NSA Boss should be remanded in prison pending his trial. If you recall, he was on September 1, granted bail by the high court on self recognition, however, Justice Ademola Adeniyi, on November 13, while granting the defendant leave to travel abroad for medical treatment, varied his bail condition. The event will be hosted in Lagos, Nigeria on Sunday, 6 December, 2015. 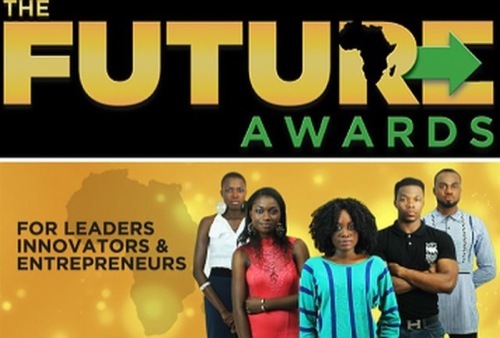 This year's nominees, following an open call for nominations, come from across Kenya, Liberia, Zimbabwe, Uganda, Botswana, Ghana, Nigeria, Gambia, Rwanda, Tanzania and Cameroon. The nominees are presently undergoing the rigorous judging process supervised by a jury including the Board of Judges and an Independent Audit Committee. The jury comprises distinguished Africans including - Katja Schiller Nwator (Leadership Development and CSR Manager, The Tony Elumelu Foundation) - Mahamadou Sy (Founder and Executive Director of the Institute Supérieur de Développement Local (ISDL), Senegal) - Wendy Luhabe (Founder, Women’s Private Equity Fund) - Tonye Cole (Executive Director, Sahara Group) - Ndidi Nwuneli (Founder, LEAP Africa) - Mo Abudu (CEO, Ebony Life TV) - Jennah Scott (Director, Liberia Philanthropy Secretariat, Office of the President). The Abacha family look so beautiful in new family photos shared by Gumsu Abacha. Maryam Abacha is aging gracefully, you can see her surrounded with her grand children. The Ooni of Ife today received Aare crown from the Olojudo of Idoland a day after the palace chiefs secretly crowned him as the new King of Ile Ife. Those present at the presentation of the crown were Oba Bankole Ojutalayo, Prof. Adeyemi Aderibigbe, Alhaji Ade Akanni and extended family members of the king. New reports claim that the health of former Minister of Petroleum, Diezani Alison Madueke is getting worse and her immediate family members seem to be giving up hope on the ailing health condition of their daughter. This is just as the embattled ex-minister has ordered her relatives to jet her back into Nigeria this Friday as her condition grew worse last weekend. According to a local resident and Emergency Management Agency official. 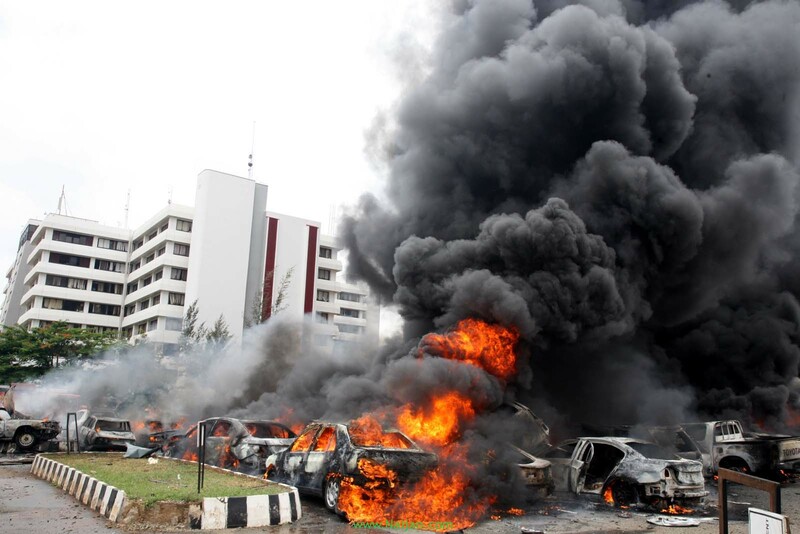 Baba Kura, a resident of Muna garage, said that at least nine people feared dead in the attack. 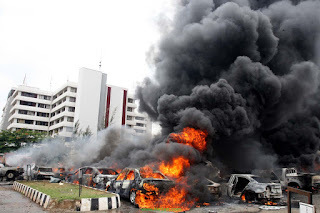 ''We heard loud explosions in our area and we quickly went to the scene and we found nine people dead and a vehicle seriously damaged,'' he said. There has been news circulating on Social media claiming Bola Tinubu and some other people are behind the death of Abubakar Audu. It further stated that Rochas Okorocha grantd the interview. However, Ik Ogbonna, anipr Special Assistant to the Imo State Governor on Information & Communications Technology, ICT has debunked this claim. My attention has been drawn to the above story which is trending on social media. When I first read the concocted tale full of thrash and libel told by enemies of democracy, my initial decision was to ignore it but on a second thought I have decided to put the record straight. The story which is written in poor English purported that Gov Rochas Okorocha, the Chairman of Progressive Governors Forum gave an interview where he accused Tinubu of being behind the death of Kogi state APC candidate, late Prince Abubakar Audu. Prince Abubakar Audu, the governorship candidate of the All Progressives Congress, APC in the just concluded Kogi state election which was declared inconclusive by the Independent National Electoral Commission, INEC, reportedly died, on Sunday, 22nd November, 2015. Here is a brief biography of the deceased foremost Kogi politician that you need to know. 1. Prince Abubakar Audu, was the first Executive Governor of Kogi State was born on 27th of October 1947, to the family of his Royal Highness, the late Pa Audu Oyidi, Orego Atta of Igala Land and the paramount ruler of Ogbonicha-Alloma in Ofu Local Government Area of Kogi State. 2. Prince Abubakar Audu (born 1947) was twice the Governor of Kogi state. His first tenure was from January 1992 until November 1993 and the second from 29 May 1999 to 29 May 2003. There have been so many speculations as regards the cause of the death of Abubakar Audu. 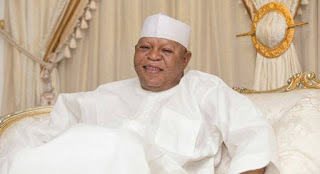 The gubernatorial candidate of the All Progressives Congress (APC) in Kogi State, Abubakar Audu, who died on Sunday vomited blood before he gave up the ghost. The media reported that he died of undisclosed medical reasons. While some attributed it to heart attack, others speculated different causes. 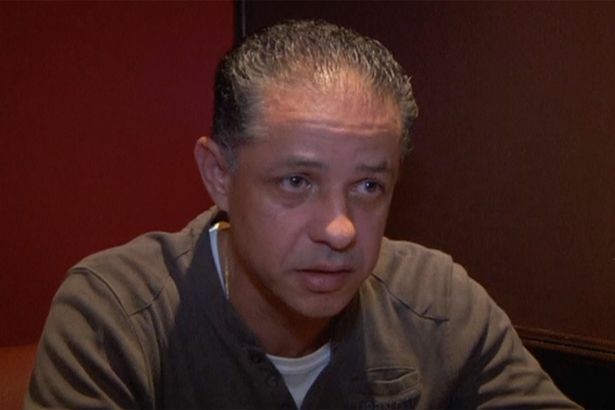 Speaking to DAILY POST, a source close to the family said his relatives narrated how he died. “I spoke with someone in late Prince Audu’s family. 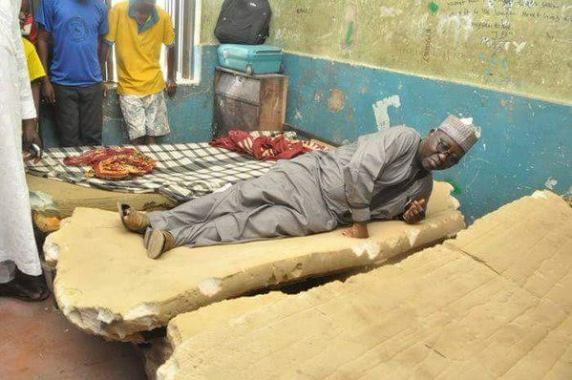 “The person told me that the former governor repeatedly vomited blood. “The family tried to rush him to the hospital but he died in the process. “There is speculation of food poison or spiritual attack but no one can say for now. On Monday, Nov. 16, Catalan regional police launched a large-scale raid against human trafficking and sexual exploitation of women in Barcelona, Spain. 21 people, 15 men and 6 women, tall Nigerians, were arrested in the early morning operation for forcing Nigerian women into prostitution. 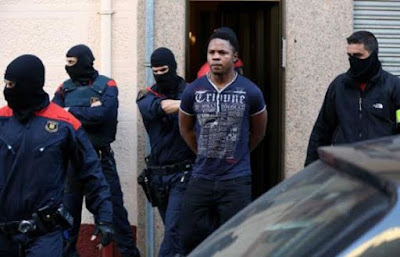 The Central Unit against Human Trafficking disclosed that the suspects are part of a criminal organisation, known as "Supreme Eiye Confraternity", that has forced more than one hundred women into prostitution since the beginning of 2014. Investigators believe the group may have exploited dozens of women, many of whom were charged large sum of money to be brought to Spain from Africa with the promise of a job and a better life. The women, instead were forced into prostitution to repay their debts to the human trafficking ring. The group was born in university circles in Nigeria in the 90s, and gradually became a feared criminal organisation, El País newspaper reports. "We have taken action against the local branch of this organisation, but also against some international members here." a police spokesman added. Officers are also searching 20 properties in Barcelona, Terrassa, Sabadell and several other Catalan towns and cities. "May the soul of Alhaji Abubakar Audu, the APC governorship candidate for Kogi state who dropped after the election, rest in peace.Very sad." The gubernatorial candidate of the All Progressives Congress (APC) in Kogi state, Mr. Abubakar Audu died of undisclosed medical reasons shortly after the Independent National Electoral Commission (INEC) declared his victory at the elections inconclusive. More Photos Of Cancer-Stricken Diezani Alison-Madueke Released! Publisher of Ovation Magazine and The Boss Newspaper, Dele Momodu shared more photos of cancer stricken Diezani Alison-Madueke today. This is coming days after it was reported that the family of the former minister are battling Dele Momodu over the publication and the pictures which found its way to the public. There has been jubilation aplenty in the home of Nojim and Mariam Bello, the couple in Ifo, a community in Ogun State, whose 17-day-old baby, Balikis, was on October 23, 2015 by Ife Yekini, a woman who had visited the mother, ostensibly to rejoice with her, following the birth of the baby. The baby was recovered in Sango-Ota, Ogun State on November 14 and re-united with her parents, thus ending the harrowing trauma they experienced in the wake of the abduction. Trouble began for the family when Yekini visited Mariam Bello, on the pretext of congratulating her on the birth of the child. Baby Balikis is the result of the love relationship between 16-year-old Mariam and Nojim, 40, which began two years ago and eventually led to a pregnancy. Malian special forces stormed a luxury hotel in Bamako on Friday after Islamist gunmen took 170 people including many foreigners hostage in the capital. State television said 80 hostages had been freed.
" I heard them say in English 'Did you load it? ', 'Let's go,' 'I wasn't able to see them because in these kinds of situations it's hard. I woke up with the sounds of gunshots and for me, it was just small bandits who came in the hotel to claim something. After 20 or 30 minutes, I realized these are not just petty criminals,' US and French Special Forces have reportedly stormed the hotel and have began to clear the building one floor at a time. 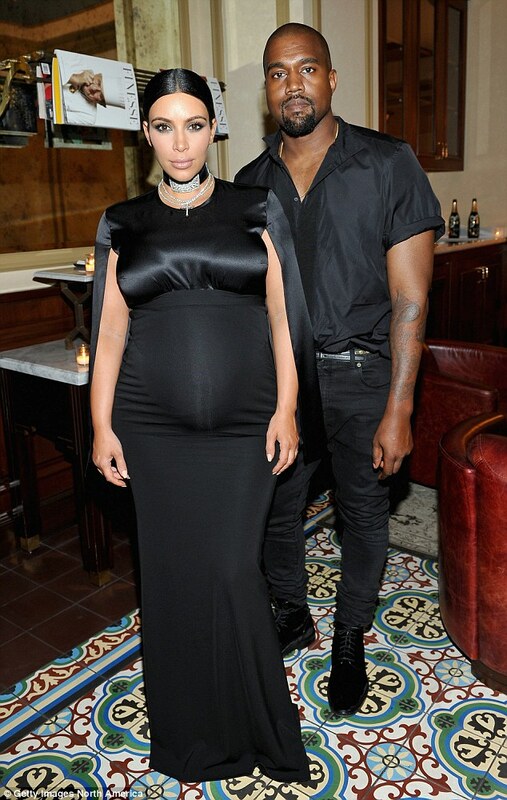 Kim Kardashian has complained about how hard and difficult pregnancy is ,and now, she wants a reward for it. Last night, she took to her website ,KimKardashianWest.com to ask her husband Kanye West for a 'push present. 'She wrote that at the top of her list is a Lorraine Schwartz diamond chocker..It usually goes for about $1m.She has worn a few on loaner before (Pic above) Do you guys believe in a push present? I never did, but all of my friends do!!!' 'We have the funniest e-mail chains discussing it.' 'I like the idea of a push present - after nine months of pregnancy it's a sweet and well-deserved thank you. 'We women go through an entire pregnancy carrying a baby...of course it only makes sense that we get something amazing to show how amazing we are! LOL! '(Continue) 'One friend got a special diamond ring she always wanted, and another friend got a new car!' she typed. A nurse who gave CPR to a wounded man sprawled in the wreckage of a bombed cafe has spoken of his horror when he realised the patient he was trying to save was a suicide bomber. David, 46, was among the brave healthcare professionals who rushed to the centre of Paris last week when the terrorists opened fire on the audience at the Bataclan theatre and detonated bombs at the Stade de France. He said He was unconscious, he had nothing special, but I noticed that on the side of his body there was an enormous hole. A large hole on his side. But there, again, I don't think at all that it was a suicide bomber.At that moment, for me it's a client like others who suffered from a gas blast and who must have hurt himself on something. But his wound was huge.
" It was only when he took the man's T-shirt off to better try and resuscitate him that he noticed the wires snaking around his body. 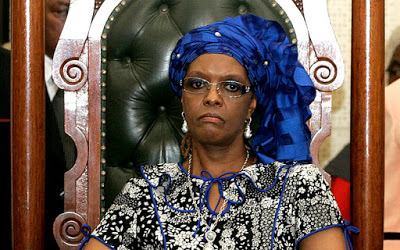 Many have termed the recent remarks of Grace Mugabe, the First lady of Zimbabwe as insensitive. While addressing thousands of Zanu PF supporters at a rally in Mberengwa this week, the First lady of Zimbabwe Grace Mugagbe said women who wear mini skirts have no one but themselves to blame if they are raped by sexual perverts. "If you walk around wearing mini skirts displaying your thighs and inviting men to drool over you, then you want to complain when you have been raped? It’s unfortunate because it will be your fault." Everything is being put in place to give the late Matriarch of the Awolowo family, HID Awolowo who died on Saturday, September 19, at her Ikenne home a befitting burial. 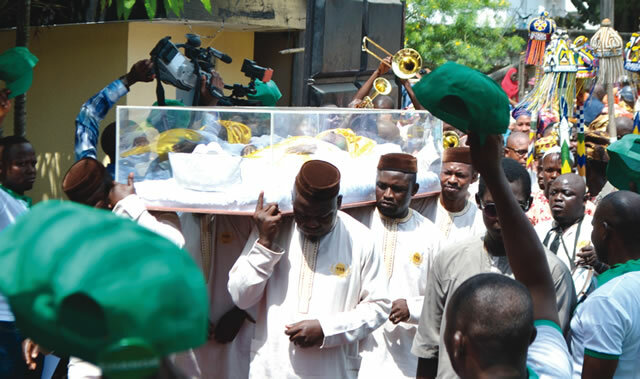 The remains of the Yeye Oodua will be interred beside her husband, the late sage, Chief Obafemi Awolowo, inside the mausoleum specially built by the family. Grave diggers are reportedly at work on the site, and mausoleum is wearing a new look. Reports also has it that since HID Awolowo’s corpse was brought back to Ikenne on Monday evening, having been taken to Lagos and Ibadan, it has continued to enjoy special treatment. Her clothes were changed every day by undertakers so she could look resplendent in the fabrics, mostly sewn into traditional iro and buba, with headgear to match. Guests who came to the house could see her through a glass casket, on a special stand. Reports emerging claims that the protests currently going on in the East by the Pro-Biafran groups are being sponsored and supported by close allies of former president Goodluck Jonathan. 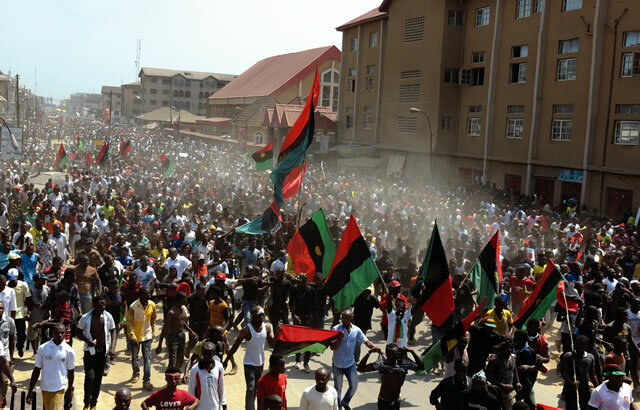 A pan-Igbo group, The Igbo Conscience, says some former political office holders who served in the administration of former President Goodluck Jonathan were behind the Biafran revolt. The TIC said this was why the protests gained momentum immediately after Jonathan was defeated at the poll. 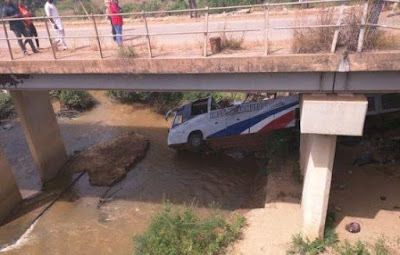 18 people lost their lives in an accident which occurred along Abuja-Lokoja road. The Kogi State Sector Commander of the Federal Road Safety Commission, FRSC, Mr. Ogochukwu Ugboma, who confirmed the tragic news disclosed that sixteen men and two women died in the accident while others, including a female child, sustained injuries. 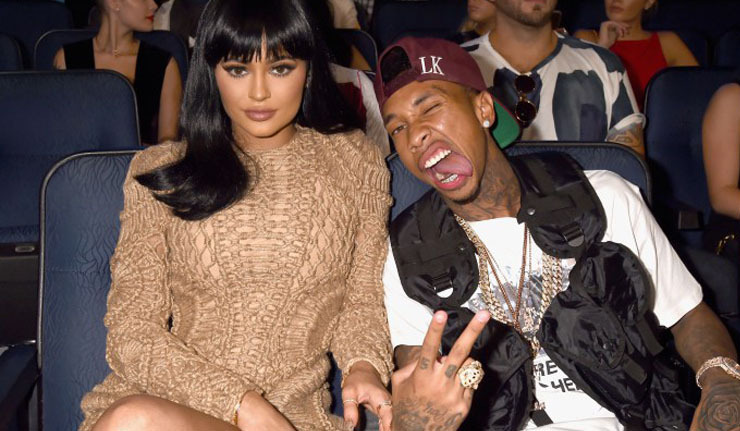 There have been speculations that the much talked about relationship between Rapper Tyga and Kylie Jenner, the youngest of the Kardashian sisters has finally hit the rocks. Kylie was said to have been absent form Tyga's birthday neither did she send birthday wishes via her social media platform as it is typical of the Kardashians. Non of her family members sent the singer birthday wishes, not even her "mommager" who once approved of their relationship. The rapper yesterday had a birthday dinner in Hollywood and some of his famous friends which includes Jamie Foxx, Leonardo Di Caprio, Asap Rocky and Wiz Khalifa amongst others turned up for him. A woman has been arrested after a mum-to-be's throat was slit and her baby girl cut from her womb. 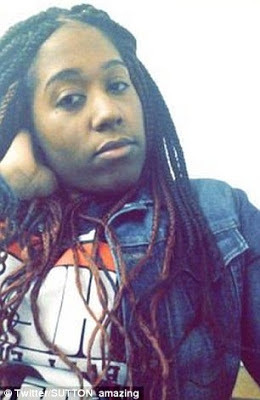 Ashley Wade, 22, allegedly killed Angelikque Sutton, who was eight months pregnant , and tried to pass the newborn baby off as her own. The sickening attack reportedly happened at Wade's apartment in the Bronx, New York, at around 2.20pm Friday afternoon. Wade allegedly slashed Sutton, also 22, across the neck then cut the baby from her womb as she lay dead or dying, the New York Post reported. One of Ghana’s millionaires Prince Kofi Amoabeng has revealed he does not pay tithe and will never honour the Christian rite for personal reasons. A tithe is one tenth of annual produce or earnings, formerly taken as a tax for the support of the Church and clergy. The president of UT Holdings said on Morning Starr, Friday, he believes in God and goes to Church “once in a long while if there is a wedding or funeral,” but he is not a tither. “I don’t pay tithe. I would not give 10 percent, and nobody can force me to give 10 percent of my money to anybody. So I don’t pay tithe. I do all sort of philanthropic jobs myself. I see where there is the need for me to help, and I help. “I don’t have to give it to somebody who then decides where to put the money. So it is my hard earned money, and I should put it where I want to put it,” he told host Nii Arday Clegg. Comrades Ayuba Wabba and Joe Ajaero,yesterday, attended the first Central Working Committee ,CWC, meeting organised by labour veterans and stakeholders to resolve the crisis that brought division among labour leaders after its election about six months ago. 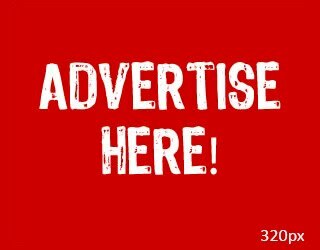 English newspaper, The Economist, has undertaken a review of the newly constituted cabinet of President Muhammadu Buhari, with a verdict that the Minister of Finance, Mrs. Kemi Adeosun, who has an Economics degree from the University of East London and a Post Graduate degree in public financial management from the University of London, is poorly qualified to manage the nation’s economy. It however described the Minister for Trade and Investment, Mr. Okechukwu Enelamah, as “a respected businessman”, but feared that he “may lack the clout to stand up to the president”. According to the publication, “Africa’s biggest economy, which relies on oil for 70% of its revenue, is sputtering as prices fall. Economic policy has been adrift since Mr Buhari came to power, and investors complain about the central bank’s use of trade controls and import restrictions. Liberia Confirms Fresh Cases Of Ebola! 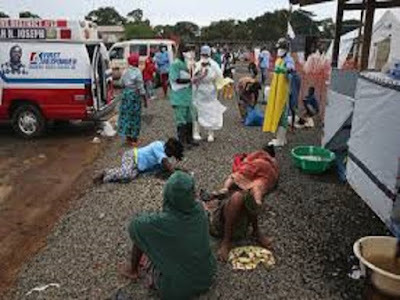 Three new cases of Ebola have been confirmed in Liberia less than three months after the country was declared free of the virus, the World Health Organization (WHO) has said. The three patients include a 10-year-old boy from Paynesville, a suburb of the capital Monrovia. All people with the symptom have been isolated, WHO spokeswoman Margaret Harris told the BBC. 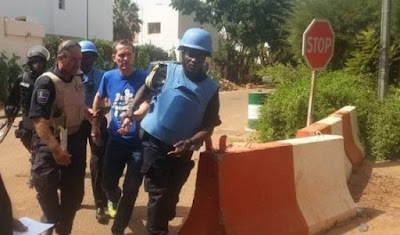 According to reports, 27 people including a French diplomat and six Chinese nationals have been confirmed dead from the terror attack that occurred at the Radisson Blu hotel in Bamako, the Malian capital this morning. For several hours, militants armed with grenades and AK-47held 170 people hostage inside the 5 star hotel after arriving in a car with a diplomatic plate number. Members of the immediate family of embattled former Minister for Petroleum Resources, Diezani Alison-Madueke, as well as her legal team are outraged over the recent visit of Nigerian journalist Dele Momodu to the former minister’s London flat. According to Mr. Onwudiwe’s account, Mr. Momodu, publisher of The Boss magazine, “met (with Diezani) on a personal visit with the family.” He added that Mr. Momodu and the family had enjoyed a good relationship in the past. 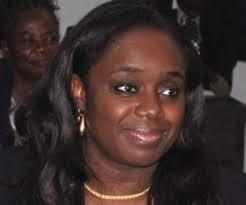 Even so, Mr. Onwudiwe insisted that no permission was ever granted to have Mrs. Alison-Madueke’s photo taken. Journalists have reportedly been barred from covering the legal battle ongoing between Davido's dad and his estranged wife. A judge in Osun State, Justice A. O. Oguntade, at the state High Court, Ede, on Thursday barred journalists from covering the divorce proceedings involving millionaire businessman, Deji Adeleke, and his estranged wife, Teju. 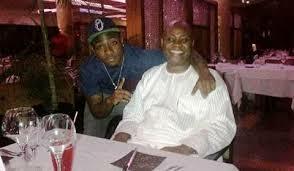 Adeleke, who is the Chancellor of the Adeleke University, is the father of popular musician, Davido. 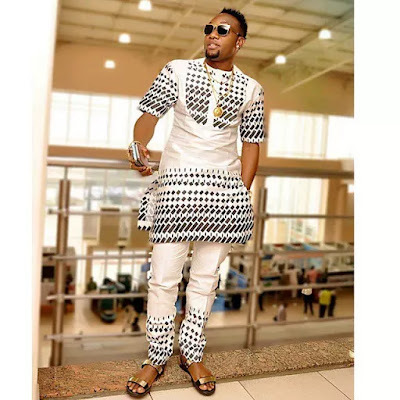 PUNCH reports he was present in court on Thursday but the estranged wife was not when journalists were chased out. Oguntade had on Monday, November 16, prevented journalists who were present at the court by chasing them out of the court room. NAFDAC offices nationwide are reportedly on an ongoing 7 days warning strike declared by the Federal Area Council (FAC) of the Medical and Health Workers Union of Nigeria (MHWUN), which is saddled with the responsibility of protecting the interests of its staff members. 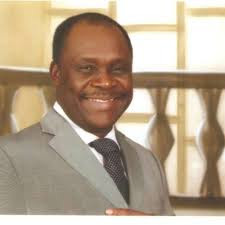 The chairman of the NAFDAC branch of MHWUN, Comrade Olu Ogundola, said that NAFDAC offices will remain under lock and key until their plights are met by the management and the Federal government. Com. Ogundola also declared that after the 7 days warning strike and nothing happened, the Union may consider an indefinite strike, which may last for months. The issues were contained in a communique issued by the NAFDAC branch of MHWUN at the end of their 6th extra-ordinary congress held at NAFDAC Headquarters, Isolo, Lagos on Ocyober 4, 2015. The contending issues include: Review of salary/allowances. Appointments of Deputy Directors In-Charge for Laboratory services and Food Safety & Apllied Nutrition Directorates respectively. Drivers mandatory training by the Ministry of Works Training School, Abeokuta. Singer and beauty expert Dencia wowed in that net jumpsuit as she attended the Latina Grammy Awards. She sure looked stunning in pink hair and a sheer jumpsuit with intricate designs. She said the dress was designed by her. That design looks like fish net, would you rock it? Charlie Boy also as Area Father, Born Charles Chukwuemeka Oputa, to the Family of Late Justice Chukwudife Oputa, a former supreme court judge has not ceased being controversial with a youthful zest even at 64. Singer Kcee did what any mother would have loved on his mum's birthday. He bought his beautiful mum a brand new Prado jeep. 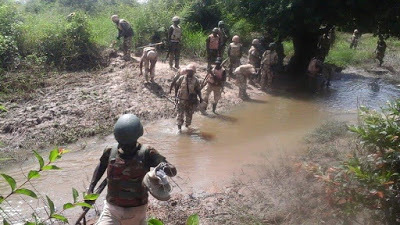 The Nigerian Army has released a statement explaining what transpired in Gudumbali, Borno state on Wednesday November 18th where 105 soldiers were said to have gone missing after a gun battle with Boko haram members. The statement which is signed by Tukur Ismail Gusau, the Media Coordinator Operation Lafiya Dole, states that the claim is false. "The attention of the Theatre Command Headquarters Maiduguri has been drawn to various releases on social media on the operation at Gudumbali , northern Borno State. Most of the publications are not only fictions but imagination of the writers that have no iota of knowledge on military operation. Rivers State Police shared the photos on the Command's official Facebook page. According to the release, the suspects namely Goodluck Worwu, Charles Wogu and Atochi Ezizie, were arrested today, November 19, at around 4 pm, after a team of police operatives acting on a tip off raided their hide out located along Ada George, Port Harcourt. Two AK 47 rifles, one (1) K2 rifle, five (5) magazines, one hundred and thirty five (135) rounds of 7.62 live ammunition and assorted charms were recovered from the suspects. State Criminal Investigation Department is currently investigating the case.